The common diagnostics in dental practice use X-rays for imaging processes. Over the decades X-ray technologies were developed from small sensors to large dimension imaging systems. Although the techniques were enhanced, patients were compromised over their life by X-ray exposure. Moreover, several diagnostic are still difficult. Especially prosthetic constructions can not be imaged by X-rays and margins as well as secondary caries below dental restorations are difficult to detect. Ultrasonic detection and visualization are common methods in medicine, except in dental practice. Additionally to imaging, ultrasonic is used for material quality management in engineering sciences. Both fields should be combined in an IT-based non X-ray approach for dental practice. An ultrasonic array is constructed to generate data for imaging and mechanical as well as acoustic characterization. Moreover, a material database is used to match the measured values for an in vivo material evaluation. Finally, diagnostic advices are given to the dentist by an expert system based on fuzzy computing. 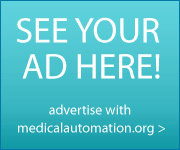 Do you have a Resource to share with the MedicalAutomation.org community?